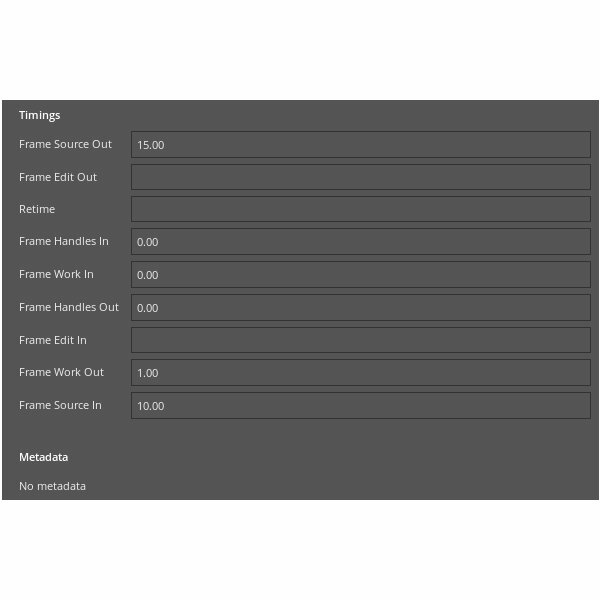 is there any possibility that a Coordinator/Producer to add time or change the time logged by other users? there is any possibility to create a subtask of a task? We would like to know what can be the best practice to do this. thanks for your answer and for the video! I was looking into custom enumerator attribute, but we would like to add more values during the project by production/coordinators. Unfortunately they don't have access to system settings to do that. we would like to have a tag system in f-track. Do you think this could be possible to be implemented? Or how could be the best practice to do this? [Thu Mar 05 13:14:29.429744 2015] [:error] [pid 3234:tid 140606632851200] Not valid eventType: db.all.file_component[Thu Mar 05 13:14:29.547526 2015] [:error] [pid 3241:tid 140606758729472] Not valid eventType: db.all.component_location[Thu Mar 05 13:14:30.547463 2015] [:error] [pid 3235:tid 140606779709184] Not valid eventType: db.all.attachment[Thu Mar 05 13:15:14.791750 2015] [:error] [pid 3245:tid 140606769219328] Not valid eventType: db.all.user_setting[Thu Mar 05 13:15:17.230691 2015] [:error] [pid 3245:tid 140606769219328] Not valid eventType: db.all.user_view[Thu Mar 05 12:32:26.484843 2015] [:error] [pid 3242:tid 140606811178752] [remote ip:1537] Error - <class 'ftserver.controllers.direct.DirectRoutingDeniedError'>: Method with name getChanges is not an allowed remotable. Should we get worry about them? I am running Ftrack V3 and I am using Ftrack Connect. Unfortunately, in this Connect I don't have a way to select a task to work on and select an application to launch. Could you please let us know how this can be done with Ftrack V3? Or point us to a documentation? we have shots linked with asset builds. In one shot we are using 5 times the same asset build. Is there a way to represent this in ftrack? Thank you Milan for your answer! Unfortunately also filter by Type doesn't work in version 3.0.5.
we try to filter by Type in Asset builds, but unfortunately, it doesn't work. we have a couple of Asset builds, grouped default by Type (Character, Environment, etc - please have a look at Attached picture). 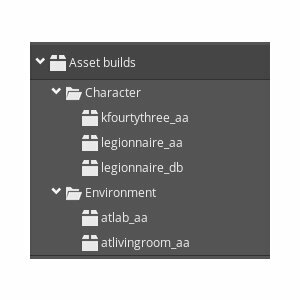 When we select "Asset builds" we have all the asset builds created in the View. We would like to have the option to select only "Character folder" and have in the View only the Character Asset Builds. reading the documentation I find out that Expression attributes can not be created on Sequences. 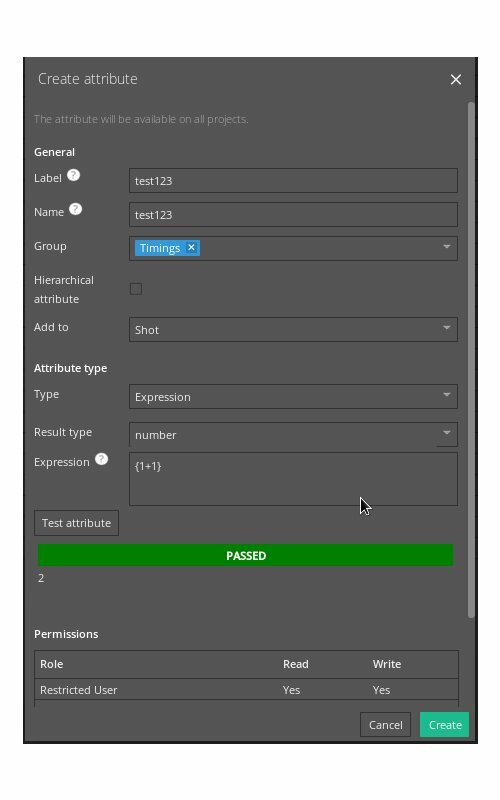 Expression attributes can be created on Shot, Asset Build, Task and AssetVersion entities and may collect data from different sources. It would be nice if we can use Expression attributes also in Sequence. is there any possibility to have "Manual sort" also in System Settings -> Advanced -> Attribute groups? You are right! The sorting is respected inside the grouping in manula sorting stage. It was my mistake! I didn't see the "Save" button. I expected to be next to "Create" - button/ Manual sort. Yes, we are using multiple workflow schemas with minor differences. Every client has its preferences and at some point every client project has different settings. We will really need it for using ftrack in our company. We have a couple of custom attributes with Expression Type (please check systemSettings_customAttributes.jpg). Unfortunately, they are not displaied in Shot Info (please check project_shotInfo.jpg). 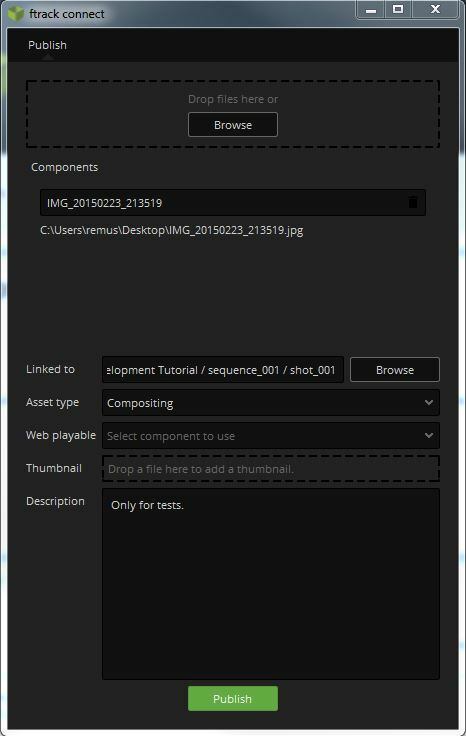 Shot/Sequence/Task info is desplied in groups ('More', 'Custom attributes', 'Custom Grups', ...). But unfortunately, the custom attributes from grups are displaied random. It would be nice to have the custom attributes from custom groups displaied in a wanted order.